I was lucky enough to tag along on my wife’s business trip to Johannesburg, South Africa. Long and very tiring flights to get here. Slept much of the day so decided to order room service. Beers on the menu were Castle lager and castle lite, black label, Hansa Pilsner and Heineken (blech). 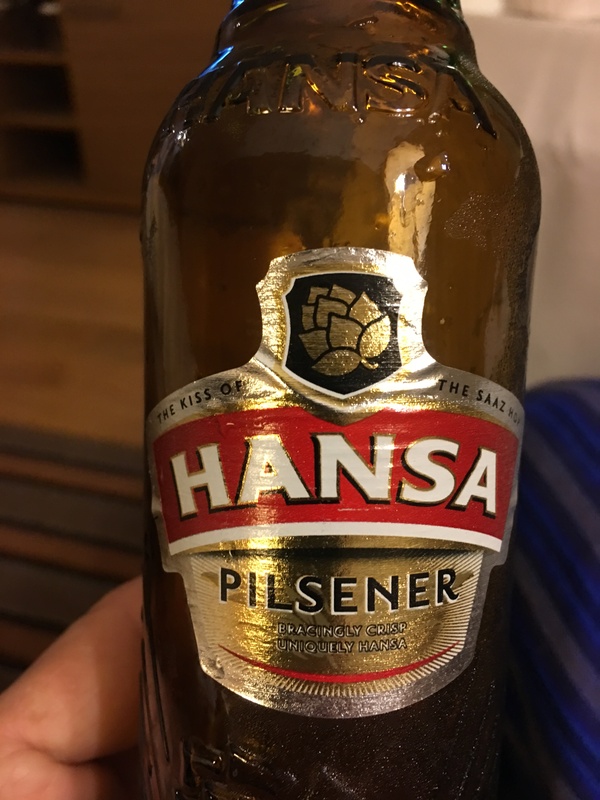 Decided to try the hansa after googling it and discovering they use Saaz hops. 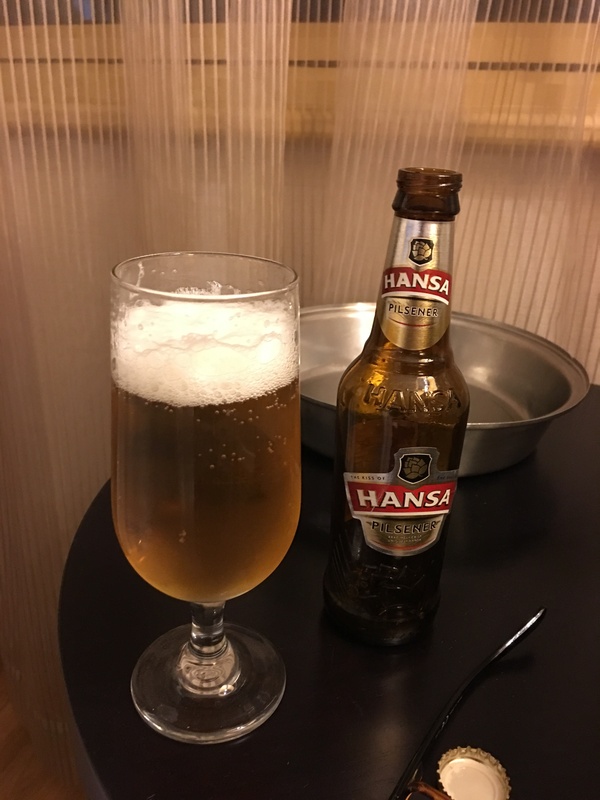 Very good well crafted lager and the Saaz are quite apparent as usual in the taste profile. Perfect pairing with lamb curry! Man, Black Label brings back some foggy memories from my young and dumb days! Used to call them black labs I think. A case was a kennel.